The SSDI attorney fee structure gives your SSDI attorney an incentive to win your case and seek the highest award possible. If you have decided to apply for Social Security Disability Insurance (SSDI), you may be wondering whether you need to hire an attorney. Here is some information which we hope will help you to make your decision, as well as some pointers on how to find the Best Social Security Disability Attorney if you do decide to seek counsel. What does an SSDI attorney do for his clients? Generally speaking, most people do not hire an attorney unless/until their initial SSDI application has been denied. That is because the initial application process itself is relatively simple, and can even be completed online. Appeals, however, are much more difficult and time-consuming, and applicants at this stage can benefit immensely from the assistance of an experienced SSDI attorney. If your initial SSDI application has been denied, you may be wondering what to do next. Give up? Appeal? Reapply and start over? An attorney can help you decide what your next steps should be in order to give your application the best chance of success. If your application has been denied, you should contact an attorney as quickly as possible in order to ensure that you do not miss your opportunity to file an appeal. Also, the appeals process varies from state to state. In some states you first must seek what is called a “reconsideration;” in other states, you go straight to the hearing stage. In California, whether you are required to complete the reconsideration process depends upon your county of residence. In Sacramento, for example, you must seek reconsideration before receiving a hearing. A qualified SSDI attorney who is familiar with the appeals process as it pertains to Sacramento can help to ensure that you are following the correct process. The best attorney-client relationships are those in which the client and the lawyer are working hand-in-hand to accomplish the client’s goals. This relationship is a partnership in which both parties expect the other to do everything possible to help to obtain a successful outcome. One of the most fundamental ways that you as a client can work towards this goal is by being honest with your attorney. Tell them any parts of the application process that you find confusing, and feel free to let him know about any concerns you may have with filing an appeal. Remember that your attorney works for you, and that they are here to help. In addition, it will also be helpful if you can provide your attorney with your original application, copies of your medical records and other supporting documentation, as well as any correspondence you have received from the Social Security Administration. Remember that the sooner you contact an attorney, the sooner he can start working on your case and setting your SSDI appeal into motion. How much does an SSDI attorney cost? While many SSDI applicants would like to hire an attorney, many of those who choose not to seek counsel do so because they are concerned that they do not “have the money” to hire a lawyer. But the truth is that those people were worried for no reason. You should never let a lack of funds keep you from hiring a SSDI attorney. While many attorney-client fee arrangements depend upon an amount established by the attorney, SSDI cases are different: the amount of legal fees charged by an SSDI attorney is the same for all lawyers, and it is set by law. Instead of an upfront fee, an SSDI attorney is paid directly by the SSA out of your backpay award. That means that you do not have to pay an SSDI attorney unless you win your case, and you never have to pay him anything directly out of your pocket. By the time you receive your SSDI backpay check, the attorney’s fees will already have been withheld. An SSDI attorney receives 25% of his client’s backpay award if the client wins his SSDI appeal. If the client does not win his appeal, then the lawyer is entitled to nothing. In other words, if you do not win your case, then you do not owe your lawyer a fee. In addition, while the attorney’s fee is calculated at 25%, it is also capped at a maximum of $6,000.00. An attorney is also permitted to charge you for out-of-pocket costs that he may have accumulated during your appeal, such as fees for obtaining and/or copying your medical records. But usually these fees are minimal, and they are not charged to you until and unless you win your SSDI case. 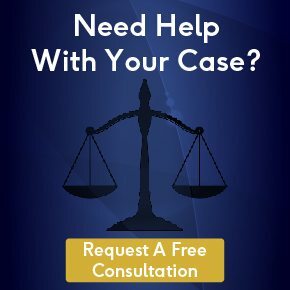 How do you find the right SSDI attorney? Making the decision to hire an attorney to assist with your SSDI appeal is simply the first step of the process. Next, you must choose which attorney you wish to have handle your case. Here are some suggestions to help you to make your decision. One of the most important aspects of a good SSDI attorney’s practice is his or her experience. SSDI appeals are a specific niche of the legal field. You want someone with experience in handling many SSDI cases. With each case handled, a lawyer gains experience. For SSDI attorneys, having experience means knowing what the Social Security Administration is looking for when they decide to approve SSDI applications. That way, the attorney can evaluate your case through the eyes of the SSA and tell you what your case may be missing and what your strong/weak points are. But experience is just one part of the equation. You also want someone who is a good communicator. You want someone who makes you feel comfortable. Applying for SSDI is stressful enough – you want an attorney who helps to reduce that stress, not adds to it. How many SSDI cases have you handled? How do you think you can increase the chances that my appeal will succeed? What happens if we lose at the first stage of the appeals process? Will you continue to represent me at the next stages? Also, you should ask the attorney any other questions that you would like answered. If issues such as office hours and accessibility, etc. are important to you, then make sure to ask about those as well. Hiring the right SSDI attorney can make all the difference in your case. And with the guidance of a skilled SSDI attorney, you have the best chances of winning your case. Best of all, you will have someone at your side to help you through this process. You do not have to go through this alone.